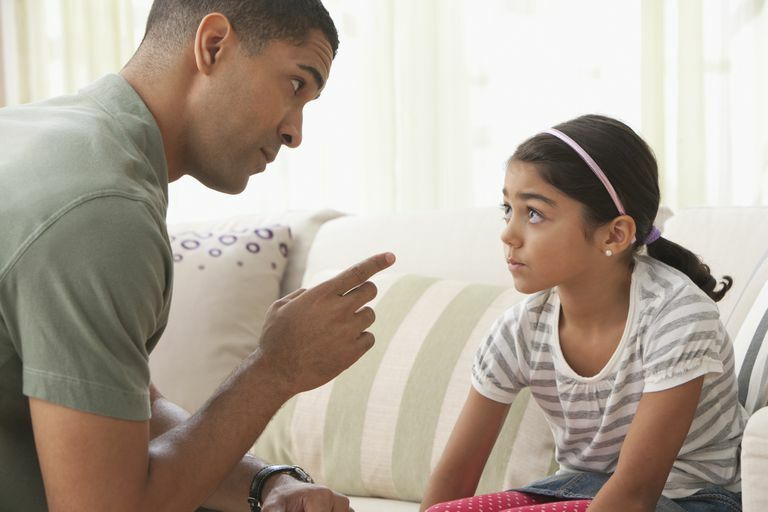 Is it ever okay to discipline another person's child? Some situations, especially when children put themselves or others at risk, demand an adult to intervene. Many parents have encountered an out-of-control youngster at a party or playgroup who is ruining the day for everyone. Such children may kick or hit other kids, scream at the top of their lungs or literally tear the place apart. But how should one proceed if the child's parent is oblivious, in denial, or worst of all, missing in action? With the tips that follow, learn when it's appropriate to step in. Disciplining another person's child can make even the most seasoned parent cringe and retreat. On one hand, parents of toddlers and preschoolers are often preoccupied making sure their own children act appropriately to handle another person's child. But if you're hosting a birthday party or playgroup session, then you're in charge of all aspects of the event, including the children's behavior. Like it or not, if a tot's actions are ruining the day or putting others at risk and the child's parent refuses to step up, you must take action. Too often, adults wait until a child is completely out of control to discipline them. They hope the child settles down or the parent intervenes. But waiting too long to step in can actually allow the bad behavior to get worse. Instead, do what most early educators recommend and calmly take action when a problem develops. If the child's parents are present, ask them to take action. If they hesitate or the child starts up again, be prepared to step in. Consider removing the child from the situation and presenting him directly to the parent. Don't be surprised if tears or a tantrum follow. While that can be disconcerting, your duty as host requires you to consider the safety and well-being of the other children present. If the parent is not present, the situation becomes trickier. Friendships have been ruined and playgroups disbanded over hurt feelings and strong disagreements over the handling of behavioral problems. Families may have different expectations and rules about acceptable behavior, and when an outsider disciplines a child, the family may take the action personally or as a criticism of their childrearing abilities. Not taking action, however, may land a playgroup host in hot water with the other parents. With that said, the easiest (and safest) way to discipline other people's children is by engaging them in a different activity or physically removing them from the situation and telling them why they can't continue to misbehave. How you proceed depends on the actions and age of the child. Avoid giving your intervention a disciplinary label, such as a "timeout." This lessens the chance that the child's parent will be offended. Instead, say something like, "Jensen, I need you to come and sit over here for a minute." Once you remove the child from the situation, you can help him calm down and explain how you would like him to behave for the rest of the activity. If you are the organizer of the event, you should stop any behavior that you won't allow your own children to do. Adults can take steps before an event to prevent children from behaving badly. They can take preventative measures such as using age-appropriate language to set simple rules with toddlers. Childcare providers and early educators say that starting an event with a "circle time" where the host discusses behavior expectations gives youngsters an example to follow. If possible, enlist the help of other parents to assist, hear and observe so that they too know your expectations. Event hosts can also tell children that the impending activities require them to keep their hands to themselves and to stay seated. They can inform the guests that children who don't follow these rules will be removed. If the activity is a playgroup, parents should set rules and agree to appropriate actions if a child gets out-of-control. Parents should supervise their own child or have a cell phone and be available to retrieve their youngster if problems arise. Party hosts, however, should encourage parents to stay. If parents plan to leave, be sure to get their cell phone numbers before they depart just in case their child misbehaves. If you have too many kids to adequately supervise and manage without a lot of help, you've probably invited too many kids for the age group in question. Remember that a smaller group will most likely be easier to look after, not to mention more fun. All children misbehave from time to time. If a child acts up at an event you're hosting or supervising, make sure to keep your cool. After all, your child may be the next little one to act up. By taking a child's misbehavior in stride, you can make sure the activities remain fun for all.